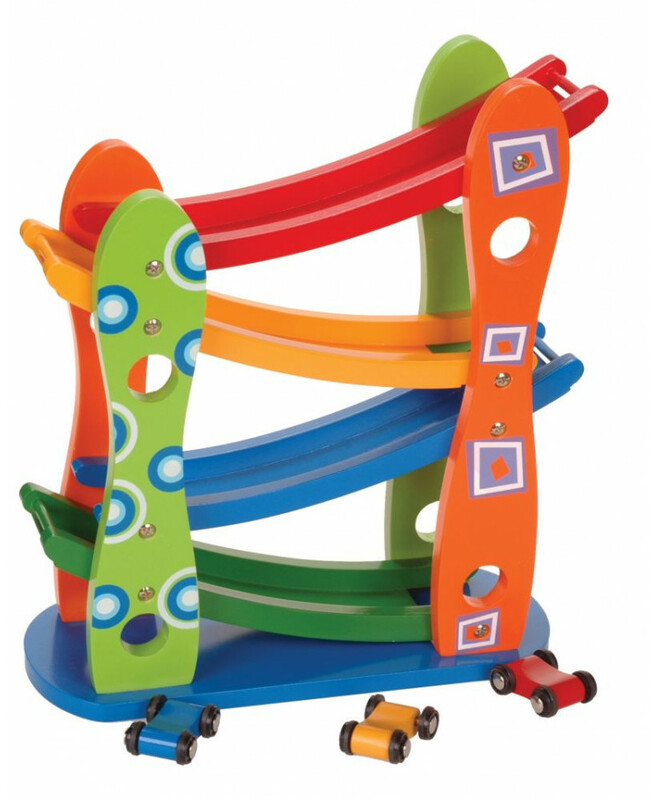 This colourful Wooden Zig Zag Ramp Racer set will provide hours of fun for your little one. Place a car at the top of the track and when it reaches the end of a ramp it somersaults to the next level until it reaches the floor. 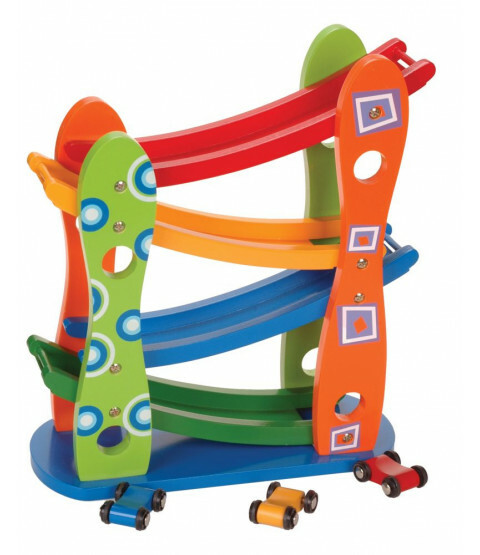 Each set includes three wooden cars in bright primary colours.